Organic design details puts the exotic essence of this modern area rug at the forefront of fashionable flooring accents. 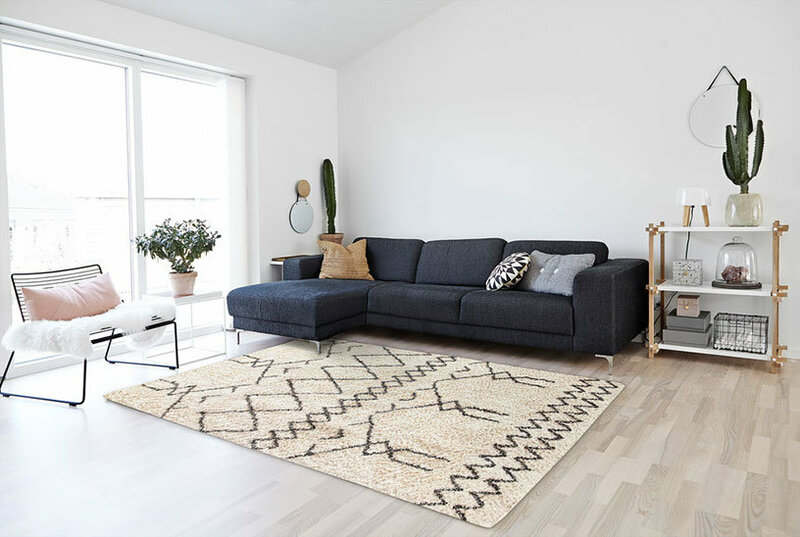 Ornamental fringe enhances the primitive style of the solid rug field, its natural field peppered with black and grey speckles. Handwoven from 100% natural jute fibers, this eco-friendly floorcovering feels good underfoot and holds up in high-traffic areas of the home. Color: Blue.